I am sharing this post in the spirit of my Kindness Manifesto. 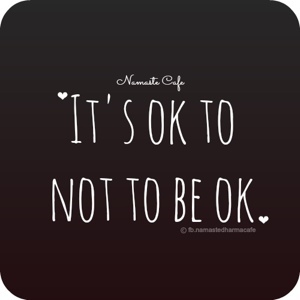 In doing so I am reminding myself and others that it’s OK not to be OK sometimes. When I wrote the manifesto I emphasised that we need to be true and authentic and not pretend that all is perfect at all times. Things have been far from perfect for me during the past week, I’m afraid. But I’m slowly feeling better again. I wrote this on Sunday and I think I’m ready to share it now. I am sharing this not for sympathy, but to stay true to what I’m trying to do with this blog. Sorry if it makes for uncomfortable reading. Please remember that anyone you come in to contact with today could well have written it. Let’s all be kind to each other. We’re all fighting our own battles and we can help each other. Looking back I could feel it coming. Starting with a familiar sinking stomach feeling and slight panic for no apparent reason. Anxious. Feeling like I want to be on my own. Like I need to escape. Like I just need some quiet. Like I just want to sleep for days until hopefully it passes. Feeling like crying. But there’s nothing to cry about. Feeling trapped in my head. Such disappointment. So very disappointed with myself for finding myself here again. I’d been doing so well. Grateful for P keeping the kids busy so I can be by myself, but feeling incredibly guilty that he has to do this. Feeling like I’m spoiling everyone’s weekend. Thinking that surely he can’t wait to get to work to get away from me. Trying to remind myself that this is an illness. That I can’t help it. That it’s chemical. Going to bed. P says the wrong thing. Crying. So much crying. Can’t stop crying and can’t cry enough. Want to scream in to a pillow. Considering going downstairs and literally screaming into a cushion. Feeling like a total fraud. Writing about kindness to ourselves and recovery from depression? Sharing tips on how to be grateful and overcome negativity? I don’t want to be here again. I can’t be this person again. This burden. Can’t stop crying. Trying to calm my breathing. Closing my eyes but the tears keep coming. Trying to sleep but the tears keep streaming. Can’t turn these thoughts off. Where’s the off switch? Trying to remember: It’s always darkest before dawn. It’s the cracks that let the light in. If you need help and support, please click here for a list of support organisations. Please don’t suffer in silence. Thank you for sharing this very personal moment. I also have moments of depression though not a dark as yours & I thank you for being so honest. I know in my head it is ok to not be ok but it means more hearing it from someone else who is going through it too. I hope that it passes for you & you have the support you need. Thank you for this. I felt like if I didn’t share this on the blog then I couldn’t legitimately continue with it as it would’ve seemed fraudulent. It’s hard sharing something like that as it’s so personal but if I want to make a change and help end stigma then I guess the only way is to put stuff like this out there. Thanks so much for your encouragement. Thank you so much for posting this. I hope it is therapeutic for you write as I know it will be therapeutic for people to read it. I am sending you so much love over the net! You have put into words what I have felt and done so many times – to the letter. I’m sure that you probably won’t believe this, as one of the cruel things about depression and anxiety is that it won’t let you believe anything that is positive or nice that is said about you, but you are so elequent. You have a gift that will certainly help other people who are not able to express themselves as well as you. Don’t want to say anything mundane and bland so I’ll just say I’m thinking of you and all the wonderful kindness thoughts you’ve been putting out there. Thank you for this. I’ve suffered with depression (the curse, the black dog) for more years than I haven’t. I suffer from a whole heap of mental illnesses & it takes a brave person to speak out like this & bare your soul to the world. The stigma attached to mental health is incredible & needs to be changed. Thank you for this. It’s been scary but the more I speak out, the more people like you come forward and say that this is helping them. That in itself is such good therapy for me. Really glad to have connected with you. 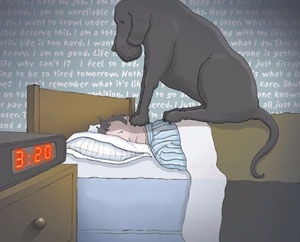 I have lived with the black dog since I was about 14. For many of those years, I didn’t know that the black dog was even there – I didn’t tell anyone that I was considering suicide when I was 14, so no-one told me that wasn’t normal – but looking back, much of what I have felt throughout my life, wasn’t as it should be. 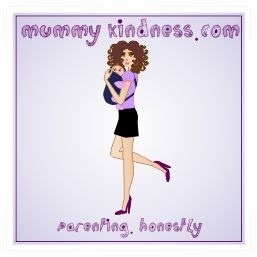 It was only when I had No1 son that I was diagnosed – and then it was with PND, and no-one, least of all me, realised that it went deeper than that. Finally, I was diagnosed with depression, and had 2.5 years of group psychotherapy, which has improved things. Life is no longer completely black, and, as a general rule, I feel OK – not great, not bubbling with happiness, but a base-level of OK. I am trying to be more positive about things – to find one positive thing each day to focus on, and see as a real achievement. Sometimes it is something really tiny – like managing to get out of bed, and sometimes it is bigger – like liking myself, or motivating myself to do some housework, and sometimes it is taking a bit of pride in something I have made – like blanket squares for the Mumsnet woolly hugs, or some hand made felt flowers. My blog is called One Positive Thing Every Day, and is an attempt to keep me focusing on more positive things. But I have been where you are, in this post, and know how hard it is to live with the black dog. Your email has been sitting in my inbox for a few days now, but I have only just had a millisecond to read the post, and my goodness it couldn’t have come on a better (or worse) day. My black dog and her litter of puppies were not only here, they had bedded in for the week. So many of us do know that there are many of us out there – but it does make the slow climb out of the black hole that bit easier. Apologies for the mixed metaphors! Whilst my lovely family and friends try to support the best they can, reading your post and all of the following comments somehow provides sentiments needed and comforting. Thank you so much for your bravery in posting this. 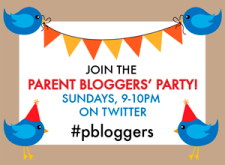 I suffered from PND after the birth of my daughter, and I could relate to everything that you have typed. When there are posts like this available to read, it really does help those that suffer to understand that they are not alone in feeling like this. Thank you. Gosh that’s a powerful post. It will pass, and writing it out or talking it out was for me the best place to begin.